Most North Carolina residents who install solar panels on their homes, harness solar energy to collect electricity, and offset the costs of heating and cooling their houses will do so because they want to take advantage of the sun’s energy. In the United States today, there are over one million homes that have solar panel systems installed. Over the years, as more and more Americans have seen the value in solar panels, the federal government and various state governments have created tax credits and incentives for solar panel users. North Carolina residents take advantage of state solar power credits and incentives every year. 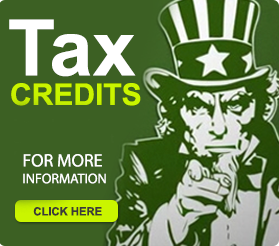 One major tax credit available to US taxpayers is the Residential Renewable Energy Tax Credit. This federal energy tax credit is available to US citizens who install solar panel systems and solar thermal technologies at their residence. Under this solar power tax credit, taxpayers may claim a 30% tax credit if the system is installed before December 31, 2019. Expenditures that would qualify under this tax credit include system installation and labor costs to prepare the site for installation and any wiring or piping that has to be done in the home to connect the system. The federal government’s plan for the Residential Renewable Energy Tax Credit is to phase it out at the end of 2021 by slowly decreasing the tax credit from now until then. Until the end of 2019, homeowners can claim the 30% tax credit. For solar panel electric systems and solar water and heating systems that are installed between the beginning of January 2019 and the end of 2021, the tax credit decreases to 26 percent. The tax credit decreases again to 22% for both types of systems when they are installed between January of 2021 and the first of January in 2022. If you are contemplating a solar panel install at your residence, now is the time to do it in order to take advantage of the 30% tax credit under the Residential Renewable Energy Tax Credit. 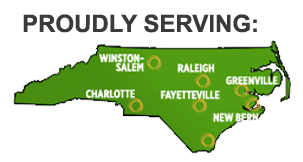 If you are a North Carolina resident looking to add solar panels to your NC home, Southeast Power can help. Southeast Power specializes in the planning and installation of solar panel solutions for residential and commercial properties. Give us a call for a free consultation today at (919)771-2901! This entry was posted in garner nc, Solar Panels, solar power. Bookmark the permalink.